If temperature is one of the keys to get your meats perfectly grilled, is there a magic number to it? 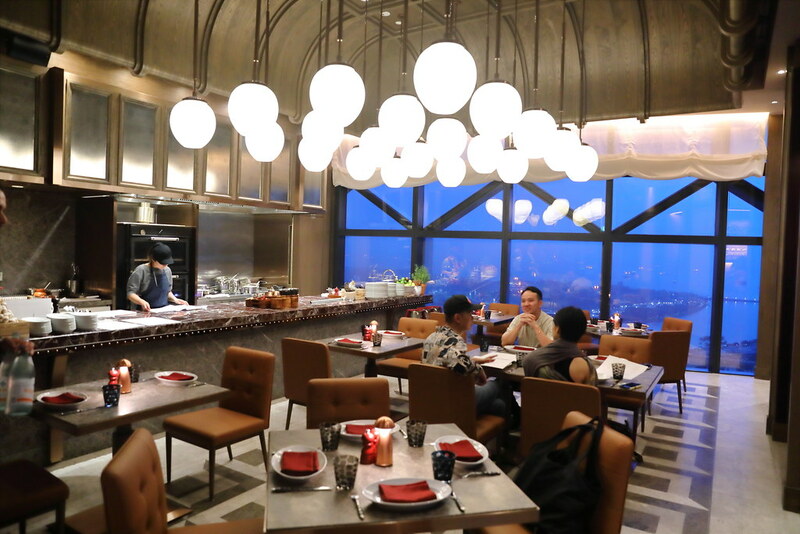 665 Fahrenheit could be it, hence the moniker 665°F of the premium steakhouse belonging to Andaz Singapore. Sitting right at the top at Level 38, it offers exceptional views of the Singapore skyline. Not uncommon, you might be thinking, since there are indeed many others that offer somewhat similar views. But what's captivating, is the rich interior of this restaurant that will elevate your dining experience.Tailored by famed designer Andre Fu of AFSO, 665°F is seamed with traits of a traditional Savile-Row tailor shop. Think Kingsman. Walk through a narrow doorway that seems to encapsulate time with a copper-arched ceiling, and eventually you will find yourself in a dining room of its own that is strong with solid furnishings, tone with hues of walnut, burgundy and copper. The focal point of this room is the show kitchen, almost as wide as the room and at the heart of it sits the Pira oven and grill. 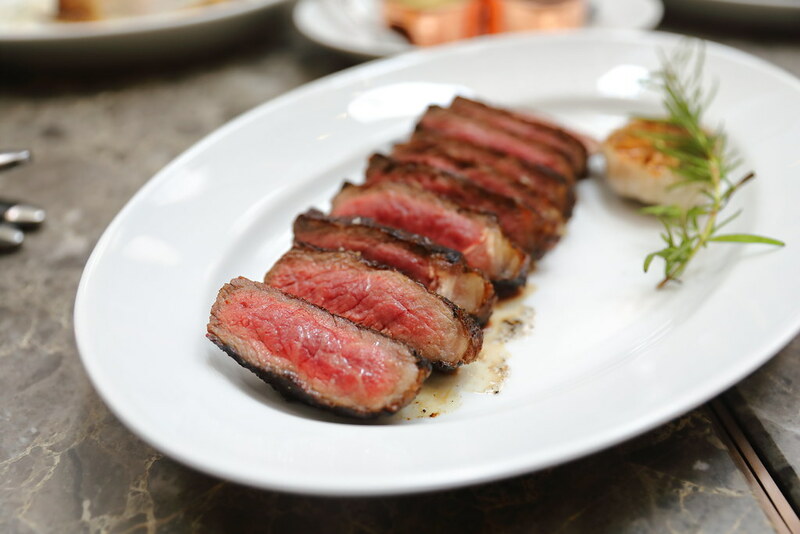 Set at temperature 665°F, it's where your prime selection of meats are being chargrilled to your desired doneness. Made with hefty ingredients such as kingfish, yellowfin tuna, jumbo lump crab, you soon realise that the appetizers here are to be recognised. 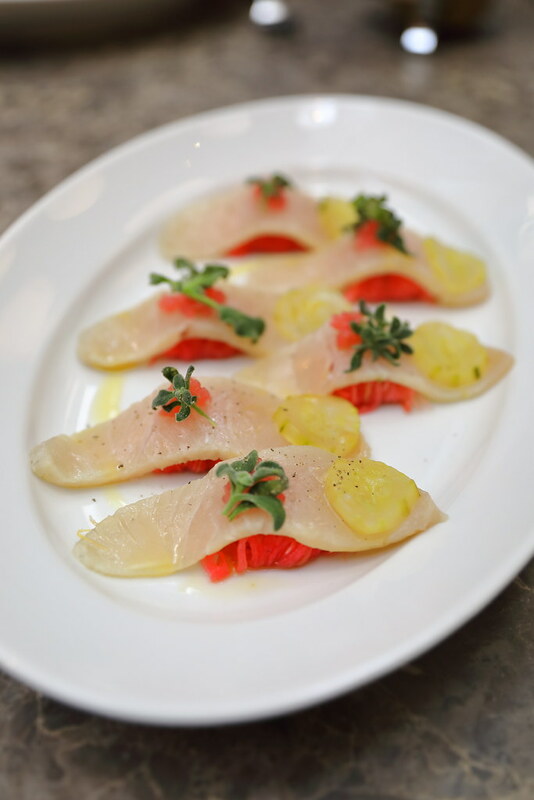 Lime-cured Kingfish ($29) is firm and meaty, which formed a strong but welcoming textural contrast with the twirl of watermelon radish underneath. The radish has a pink-magenta core, hence the watermelon reference. The mustardy notes of the radish, together with the acidity of finger lime, cut the fattiness of the fish and gave a clean finish. 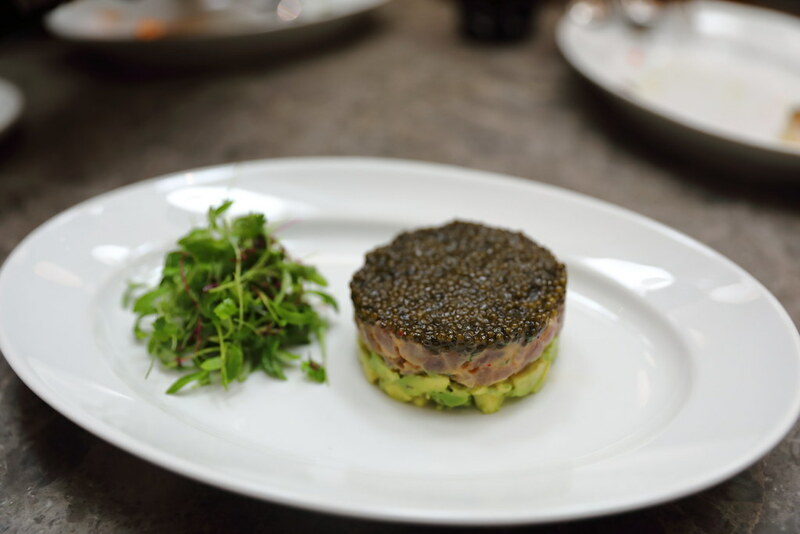 Equally refreshing is the Yellowfin Tuna Tartare ($48) which is crowned with a luxurious layer of cavier. its beef-like texture satisfied even more than the former, as it tasted fuller and creamier with the avocado. Jumbo Lump Crab Cakes ($32) are seared on both sides. Encased in it is shredded bits of crab meat in a slightly creamy mixture. I love the tanginess that accented the crab cake, tinkling my taste buds as I bit through. 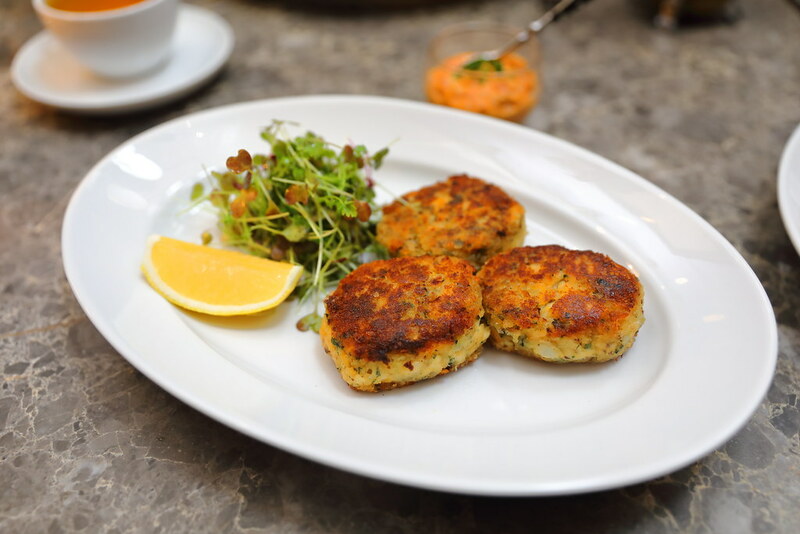 The herbs and seasoning within highlight and boost the natural flavours of the crab meat. The only problem I had with this dish, as well as the first two, was the amount of salt that went into them, which hampered the sweetness of the meats from coming through fully. 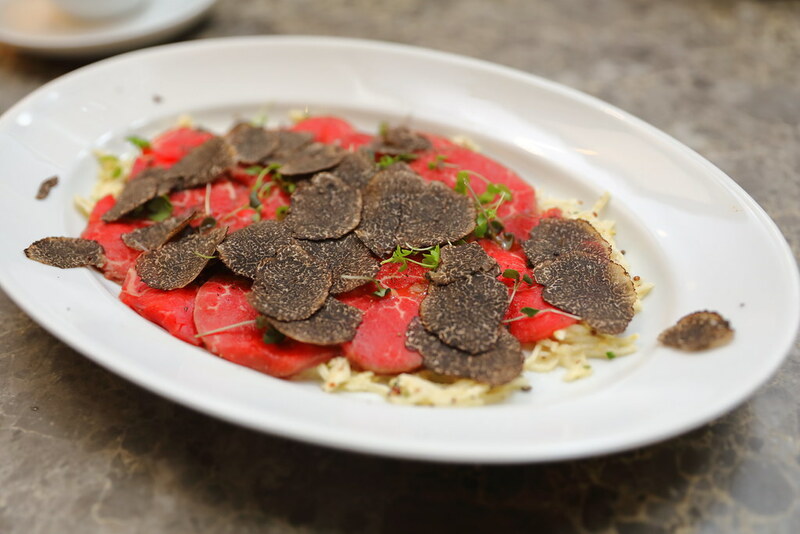 Beef Carpaccio Celeriac, Truffle ($39) is more moderately salted. So soft and tender, every piece is something to slowly savour upon. The truffle fails to exude much presence however. I reckon it works better with warm dish, when there's some heat to help release its aroma and flavour. Moving on to the mains. 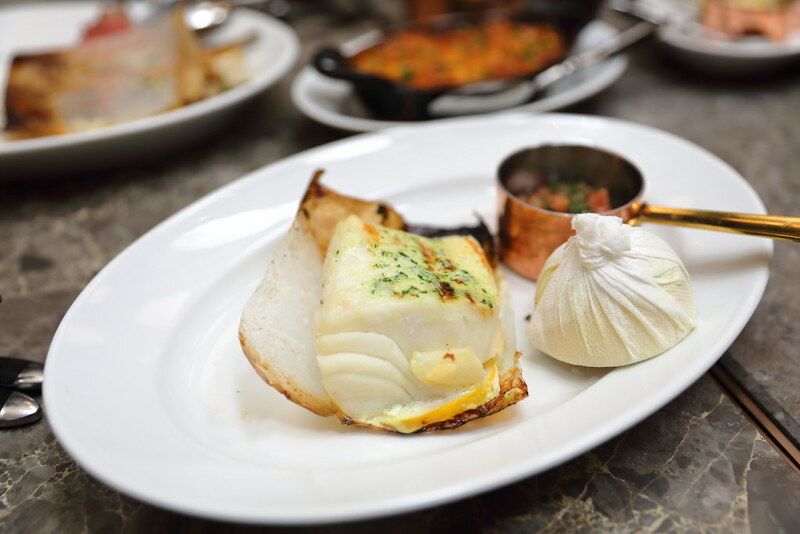 Being a fan of fatty fish, the Patagonian Toothfish Fillet with Lemon and Dill ($60) sits really well with me. Baked and lightly seasoned with lemon and dill, such simple cooking method to treat a good piece of fish is really the way to go. 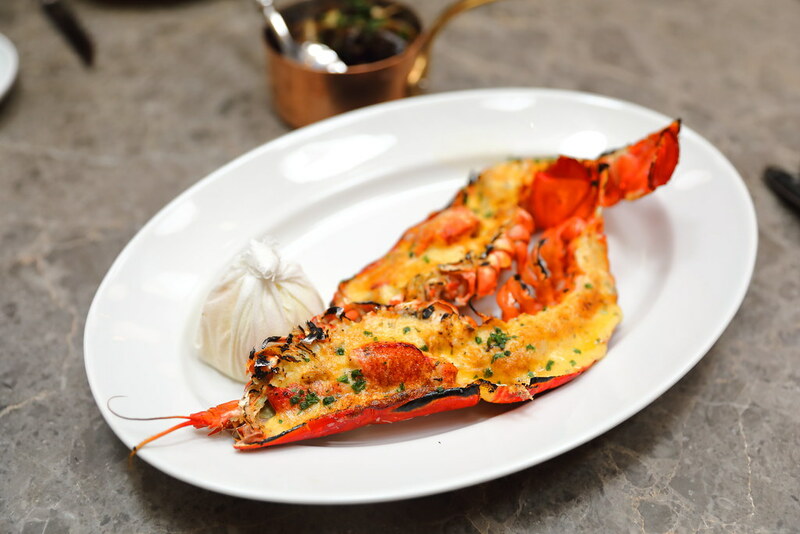 Boston Lobster with Thermidor ($80) is an extravagant dish with a luscious blanket of cheese. The lobster flesh underneath the golden brown crust was firm and bouncy. As for the meats, the affordable pricing may make you smile. We had the grain-fed USDA Prime, Omaha, USA Sirloin ($69 for 340gram) and Australian Lamp Chops ($55). While we loved the flavourful medium rare sirloin that came with a deep rich crust, the lamp chops however fell short with a gamey taste. Sides are available to complete your meal. 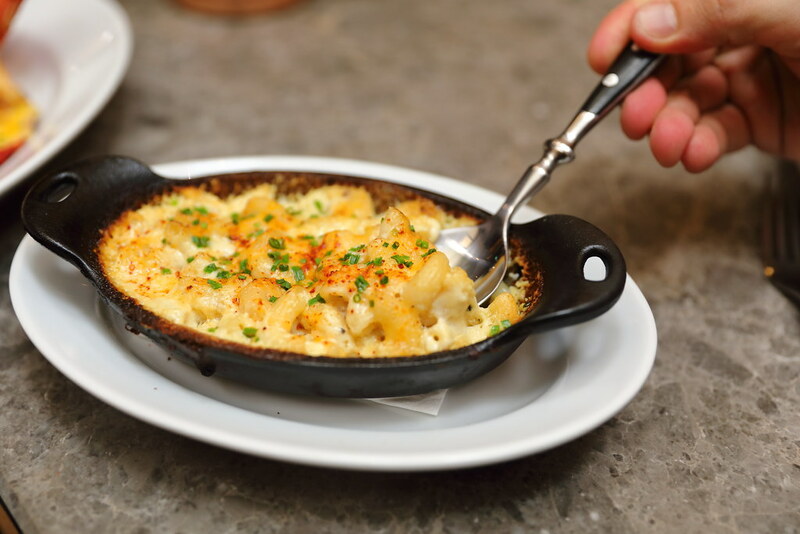 Both Mushrooms ($15) and Mac & Cheese ($14) live up to expectations, especially the latter, which hit the spot with its al dente macaroni just gently bathed in cream and cheese. 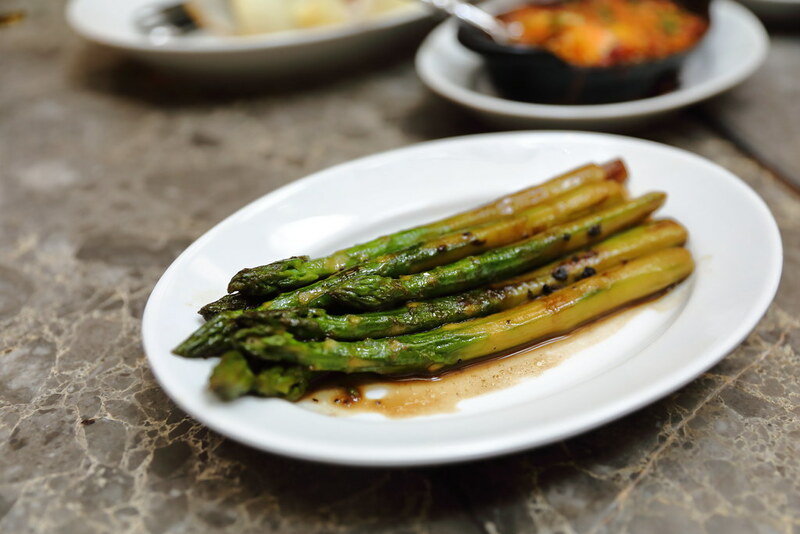 However, I can't say the same for the Green Asparagus ($14). Not only was it limp in the truffle butter, I did not enjoy the soft texture of the asparagus. 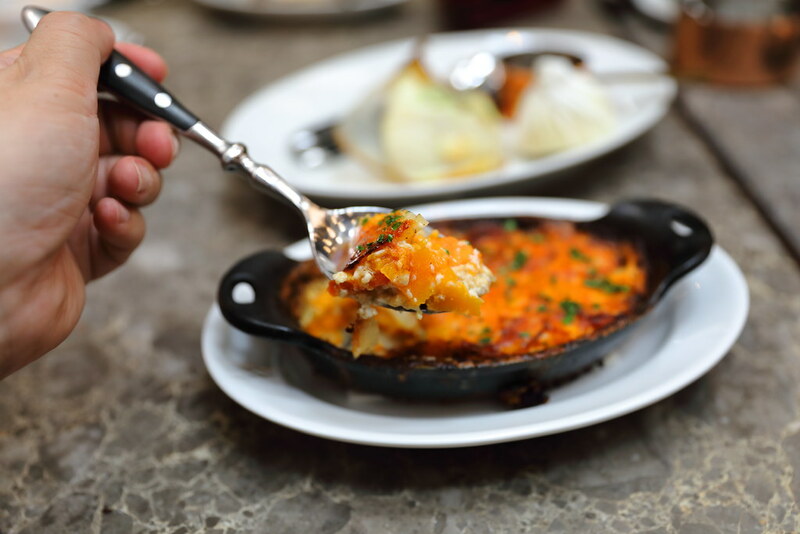 The Vegetable Dauphinoise ($15) also failed to showcase the qualities of root vegetables. 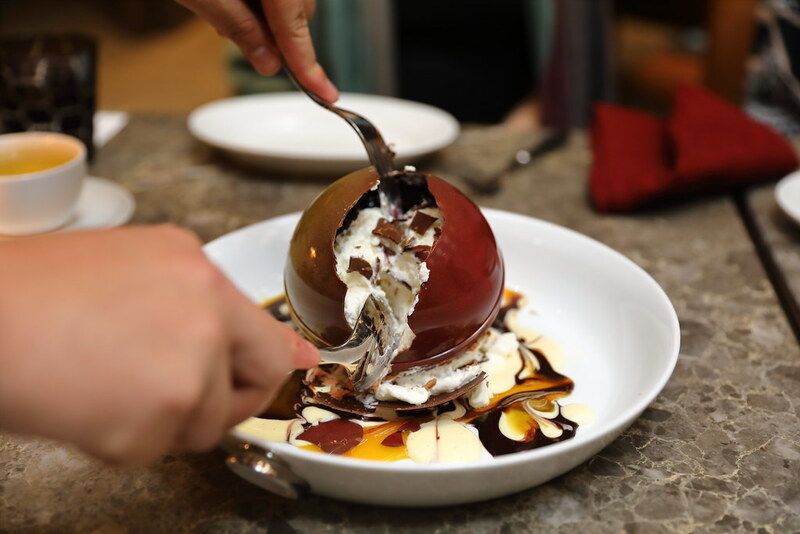 Desserts here are meant to be fun and messy. But I feel Ivory and Bitter Chocolate Mousse ($28) is a case of lacking in texture, which is a pity as the bitter sweet mousse tastes really good with the tart cassis compote that spreads along the surface of the chocolate sphere. I would probably be happier if it is solidified into an ice cream. 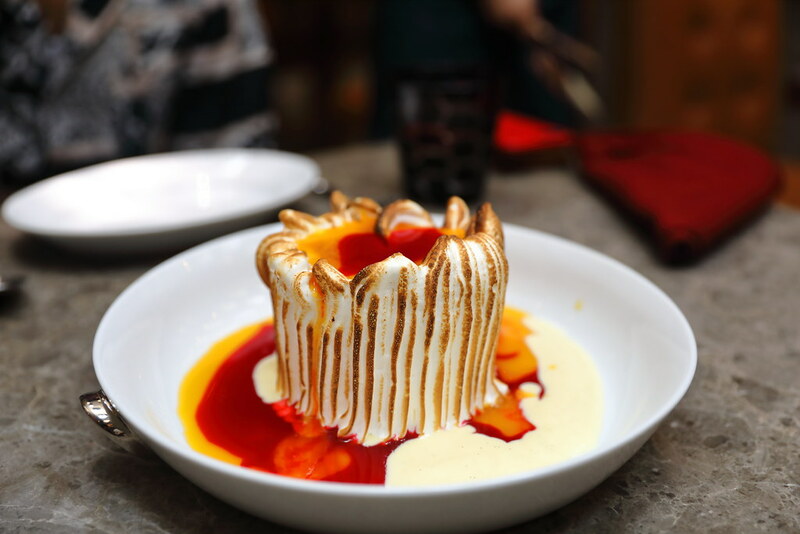 While the Baked Alaska, Passion Fruit, Raspberry Sauce ($28) has an old-fashion sweetness that I couldn't deal with. Have a feel of the exclusive and intimate atmosphere of 665°F yourself. 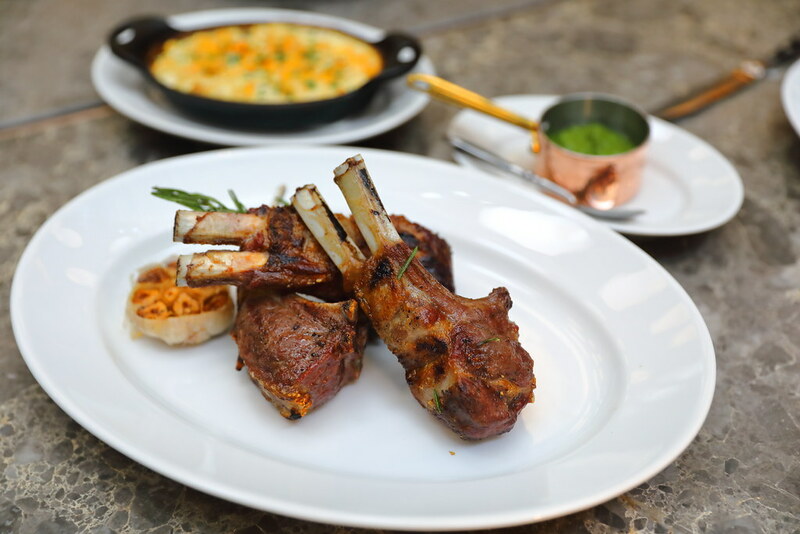 The menu carries a range of produce and ingredients sourced directly from the United States, Ireland, Australia, the United Kingdom and more. With time, I believe the dishes delivered will be just as polished as the interiors.